Industrial & Residential Rubbish Removal Central London SE | Quality Property Care Ltd.
Whatever you want cleared out and removed, you can rely on the trained, experienced and vetted employee of Quality Property Care Ltd. to collect the junk, and take care of the disposal of different types of rubbish safely and in accordance to all polices at a great price. After you receive the primary price estimate and book a visit, the rubbish removal operators will come to the spot, and determine the actual price in accordance to the specific type, volume and quantity of the items or other waste you need to remove and dispose of. The waste will be loaded, transported and disposed of based to all rules for green waste disposal. If you’ve done gardening and have waste products that you cannot get rid of of yourself, don't worry, we’ve got your back. We can remove flowers and plants, garden weeds, litter, plastic bags and liners, twigs, leaves, small branches,, animal bedding or straw, Christmas trees, plants, pots and plant containers,, glass cuttings soil and turf along with hedges or hedge clippings. All of this is disposed safely, you will be informed if there are extra expenses associated with particular stuff we are throwing out, before we start the process of removal. Choose Quality Property Care Ltd. 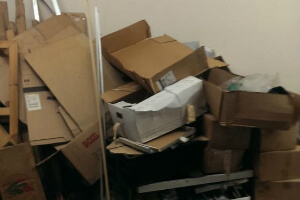 Junk Removal and Get Special Price! 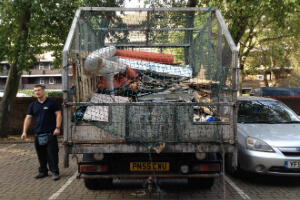 If professional junk removal service in Central London SE is a must for you, you are simply on the perfect place. Dial this phone number: 020 3746 4287 and reach our kind customer support distributors. Organise rubbish removal service at this moment! Restore the order around you and remove the last sign of the chaos as soon as possible!